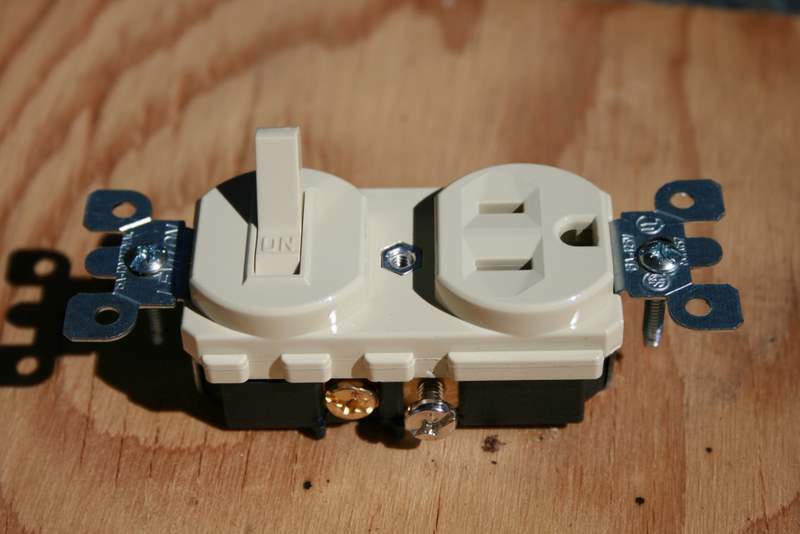 Lately I have had many site visitors asking me to write an article on how to wire a duplex switch and receptacle combination device. While the switch/receptacle combo device is not common in the home, they have several unique applications where they can be very useful! As with any electrical project, make sure that you take all necessary precautions, most important being to make sure you shut off the power. Always review the safety page on our website. 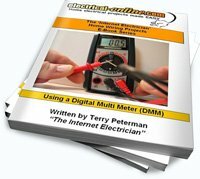 Another valuable resource available on our site is “The Basics of Household Wiring DVD”, which is also available as an instantly downloaded e-book. Follow this link to get your copy. The switch/receptacle combo device is set up like a duplex receptacle, but has a 15A single-pole switch in one half, and a single 15A, 125V receptacle in the other half. They can work in conjunction with one another, or they can be connected and used independent of each other. Here is a diagram showing the internal function of the switch/receptacle combination device. Here is an actual picture of a Leviton Switch/Receptacle Combination Device. I will discuss three different possible scenarios where a switch/receptacle combo device such as this would come in handy. In your garage or shop, you would like to install a task light, like a florescent light fixture over workbench. However, the walls are all finished so getting a new wire to a switch and then up to the light is not that simple. However, you have a receptacle just above the bench that you can get your power source from. A typical example of this situation is if you had the same scenario as above, but with a 3-wire circuit, such as in a kitchen split receptacle, and wanting to add some under-counter lighting for example. Just as the receptacle that you replaced will have the tab on the hot side removed, here we have to remove the tab on the device as well. This will put the light on a different circuit as the receptacle, but again will give you the desired result of a usable receptacle, and a switched light fixture without a difficult wiring renovation. Keep in mind that this isn’t the best situation, as you now lose the required amount of circuits in the kitchen. However it is an example of how we can have the switch and receptacle operating independently from one another on different circuits. Here is a situation where your desired result is a receptacle controlled by the switch in the combination device. Let’s say you have a task light for your shop, and it is cord connected and designed to be mounted over your work area and then just plugged in to an outlet. Instead of plugging the light in and out every time you want to control the light, this will allow you to keep it plugged in and use the switch for control. So there you have three examples of where a switch/receptacle combination device like this can come in handy. This entry was posted in Home Electrical How-To, Receptacles, Switches and tagged 3-wire circuit, combination device, device, duplex switch, home electrical wiring diagrams, how to wire a switch/receptacle, lights, receptacle, switch, wiring diagram, wiring diagrams. Bookmark the permalink.